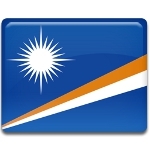 Constitution Day is the national day of the Marshall Islands celebrated on May 1. It commemorates the adoption of the 1979 Constitution of the Republic of the Marshall Islands, which established the archipelago as a self-governing country. The Marshall Islands is a small island country in the Pacific. The islands were first discovered by the Spanish, but eventually became a German colony. During the First World War, the archipelago was captured by Japan. During and after the Second World War, the islands were governed by the United States. In 1978, a referendum was held on the archipelago. The majority of the population supported independence. In 1979, the country became self-governing. The constitution was developed and came into effect on May 1, 1979. The Constitution of the Marshall Islands set forth a mixed parliamentary-presidential system. The President of the country is head of state as well and head of government. He is elected by the members of the Nitijela (the parliament of the Marshall Islands). Constitution Day is the most important holiday in the Marshall Islands. On this day, festive parades are held to commemorates the country's independence. Sporting competitions also are a typical part of the celebration.